In the app, click on ‘Inbox’ on the top left, then click ‘More’ to go the feature page. （You can also hold and then swipe right on the conversation page ）. 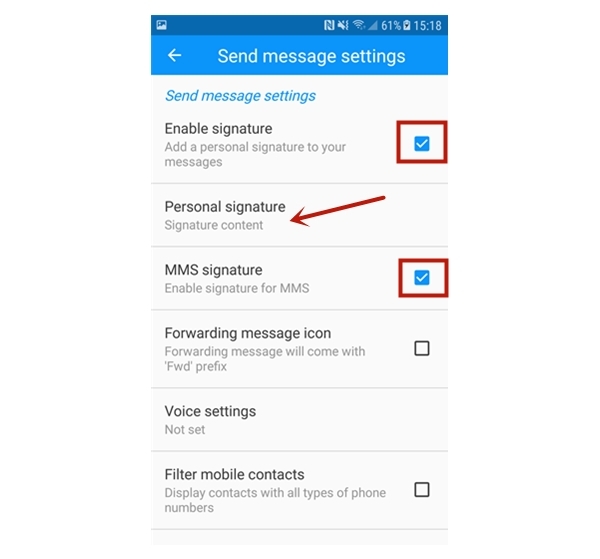 Then click on Settings -> All -> Send Message Settings , then you can find set your personal signature after you’ve enabled it.